Aromatically complex, with brown sugar, herbs, caramel, and sweet oak. This Sumatran coffee showcases classic origin character such as a full and round body coating the palate, while coming through with a distinct acidity of orange, nectarine, and melon. Dark malt and caramel sweetness shows medium in intensity in the flavor balance and gets countered by black tea, sweet bell peppers, leather, and dark chocolate in the complexity department. The flavors fade quickly in the finish and a glowing tingle lasts long after each taste. We are a locally and independently owned coffee roaster, retailer, wholesaler, and creperie located in Lincoln, Nebraska. Our goal and passion is to curate thoughtful and delicious coffee and food offerings. Categories: Coffee Ratings. Origins: Sumatra. Flavors: Black Tea, Caramel, Dark Malt, Leather, Melon, Orange, and Sweet Bell Pepper. Brew Descriptors: Citrus, Earthy, and Full Body. 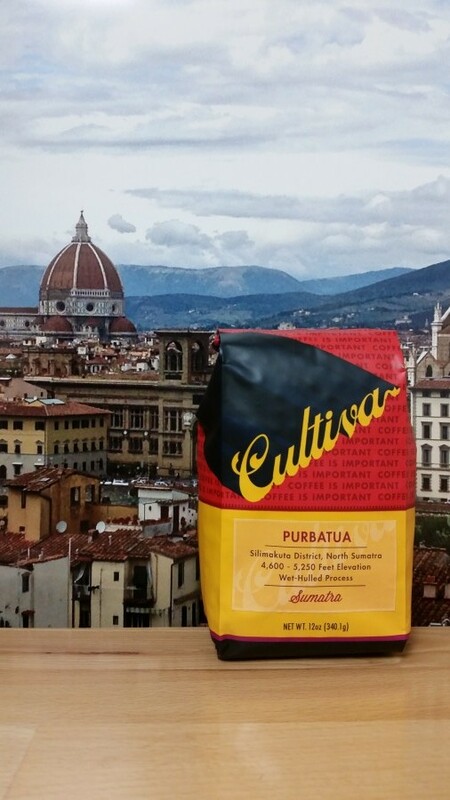 Roasters: Cultiva Coffee.